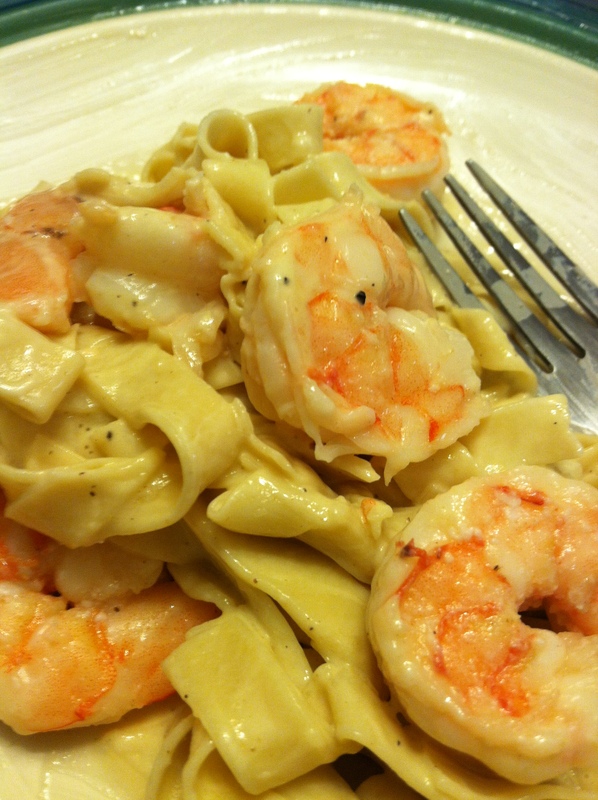 I asked the girls what sounded good with shrimp, and they all said cheesy Alfredo pasta. Cool. My husband wanted to make pasta…always a good thing. 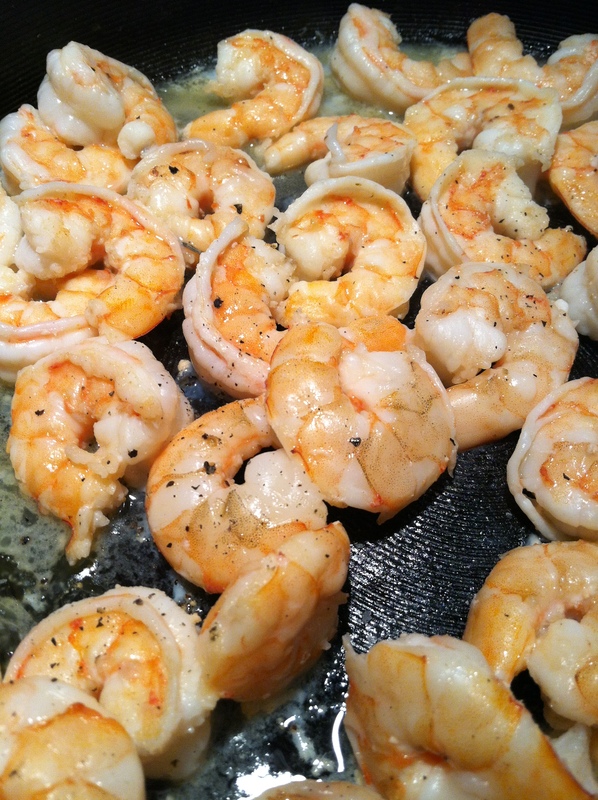 I sautéed most of the shrimp in butter. 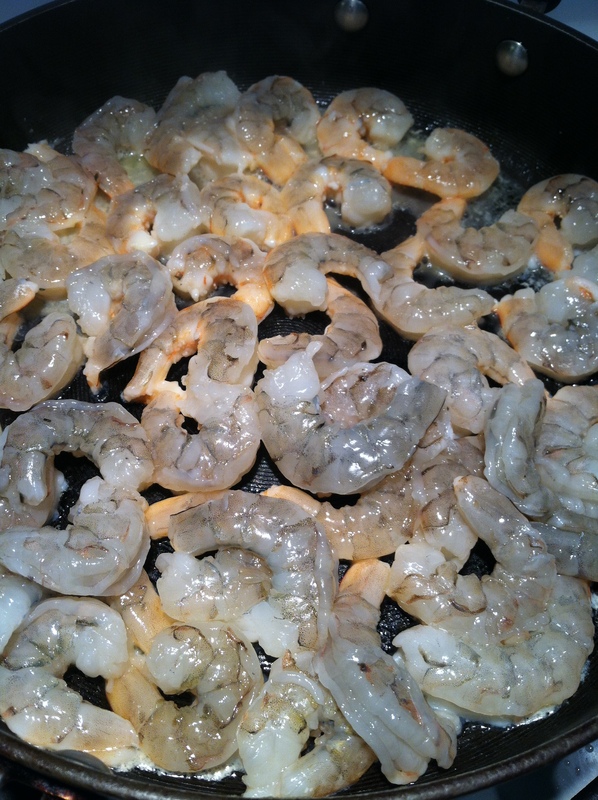 Cook on both sides until pink…just a few minutes. When it turns pink and curls up, it is done. I also boiled the rest with a bay leaf and lemon juice. Those were for cocktail sauce. No…no homemade Alfredo sauce. Tonight I chose the next best thing…Mario Batali jarred Alfredo sauce.